Rachel Corrie - How Did Rachel Corrie Become a Palestinian Martyr? (03-16) How did Rachel Corrie become a Palestinian martyr? How did Rachel Corrie become a Palestinian martyr? She was a girl from small-town America with dreams of being a poet or a dancer. So how, at just 23, did Rachel Corrie become a Palestinian martyr? Home > Inside Gaza > How did Rachel Corrie become a Palestinian martyr? 'After Rachel was killed.' When I meet the Corries, it swiftly becomes clear that there is a great deal they want to speak out about, but it is these four words, heavy with loss, that they have repeated most over the past five years. Before Rachel was killed trying to prevent a Palestinian home in Rafah from being demolished, they were a pretty ordinary West Coast American family. It has been said in the past that she came from a left-leaning, alternative background, but this is not strictly accurate. Craig Corrie is an insurance executive, who has spent 24 years of his career working for the same firm. Cindy Corrie is a musician and teacher. Since the mid-Seventies they have mostly lived in the same slate-grey house in Olympia, a small town with many coffee shops an hour's drive out of Seattle, and it was here that they raised their three children, Chris, Sarah and Rachel. True, the Corries liked to debate politics around the kitchen table. They also liked to talk about the cats and the chickens, going skiing at the weekend, the vegetable plot, the family holiday cottage in Minnesota. Whenever the conversation did turn towards the Palestinian issue, Craig and Cindy's sympathies would instinctively fall on the Israeli side. After Rachel was killed, life changed abruptly. Over the past five years they've had to deal with the loss of their youngest daughter, at the age of 23. Cindy, a quietly spoken woman not given to over-statement or, indeed, self-pity, describes a period of mourning that will never really end. Rachel's parents and sister have not returned to their jobs, although their schedule is relentless. Last week Craig and Cindy were in Vancouver. Next week they're heading to Alabama. 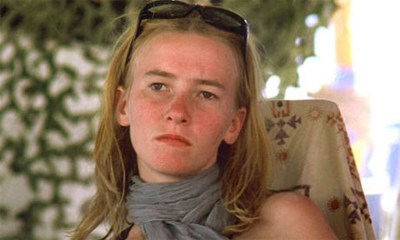 As part of their work for the Rachel Corrie Foundation, an organisation they set up after their daughter died, to promote peace and justice in the Middle East, there are school talks and early-morning radio interviews about the human rights situation in Gaza Strip and the West Bank, lobbying to have her death properly investigated and campaign meetings supporting their bid to fulfil Rachel's ambition to establish a sister city project between Rafah and Olympia. Twice they have visited the contentious 40km by 10km strip of land where Rachel died. Before Rachel was killed, Cindy had never been to Europe, let alone the chaotic, squalid, potentially dangerous refugee camp that is Rafah. The routine of day-to-day life has been cast aside. Their two-acre garden, from where you can see the creek where the children used to swim in the summer and the rushes in which they'd play hide-and-seek, has an elegiac, abandoned feel. They're away so often the family cat now lives with Sarah. Even if Cindy had the time to cook dinner, she'd have nowhere to serve it up. Every surface of the house is smothered with paperwork. Rachel Corrie "March16 marks the 5th anniversary"
Rachel had been a volunteer with the International Solidarity Movement, a non-violent pro-Palestinian activist group. Within days of her death, the eloquent and vivid emails that she had sent from Gaza were published, with the consent of the Corries, in the Guardian. In 2005 they became the inspiration for an acclaimed play, My Name Is Rachel Corrie, based on Rachel's writing. Following two sell-out runs in London and a controversial last-minute cancellation in New York, the dramatic monologue, which follows Rachel's life from messy teenage bedroom through to Palestinian refugee camp, has been performed across America and Canada. Later this month, on the fifth anniversary of Rachel's death, it will be staged in Israel and the Corries will be there to watch the first performance in Arabic. This is a typically frenetic month. Next week sees the publication of Let Me Stand Alone, a collection of Rachel's writing and drawings from the ages of 10 to 23, the final piece written four days before she was killed. Craig and Cindy Corrie have become well known in Olympia. This modest middle-aged couple with silver hair and sensible waterproof anoraks - in the winter it rains so much in this part of the world that umbrellas are pointless - are stopped in the street. Teenage girls in skinny jeans hover, wanting to say hello to the parents of Rachel Corrie. Cindy, in particular, lights up, as though caught in the glow from a torch beam. I ask Sarah if her mother and father are often approached. I'm sitting with Cindy and Sarah in one of Olympia's oldest coffee shops, a place where the Corries used to come as a family when the children were growing up. One by one they piece together the events of 16 March 2003. It was a humdrum Sunday. Sarah, not long married to her husband, Kelly, was living in the family home while her parents were based temporarily in North Carolina, where Craig was working. Meanwhile, in North Carolina, Craig was doing the laundry when the phone rang. Cindy picked it up. It was her son-in-law, Kelly. It would be days before they had a chance to mourn in private. First they flew to Washington DC to be with their son, Chris - 'He was the only one who could function,' recalls Craig - from where they began the logistical nightmare of organising the return of their daughter's body. Craig was in such a hurry to pack he slung a pillowcase into his overnight bag mistaking it for a shirt. A journalist pitched up on their driveway in Olympia. There were more in Washington. A congressman suggested they hold a press conference. The death of an American citizen in Gaza was front page news - all this at a time when the atmosphere in America was already intense. The Iraq war would begin four days after Rachel was killed. In the early pages of Let Me Stand Alone there is the sense of someone comfortable with the notion of revealing her inner world on the page: the style is uninhibited, experimental, confident. While it's clear this is a dreamy little girl who likes to dance and to visit her grandmother, she also has an easy relationship with words. Her parents don't describe themselves as writers but they remember their daughter sitting on the floor with pens and crayons before she went to nursery. What emerges is someone who could be variously idealistic, knowing, self-deprecating, earnest, quirky, pretentious, fanciful, melodramatic, obsessive, flip and wise. Some of the pieces are uneven - whose private musings wouldn't be? - but at its best Let Me Stand Alone is a window into the private preoccupations of a singular girl growing up in middle-class America in the Eighties and Nineties, a girl discovering her own lucid and original voice. Some of the passages, particularly her accounts of her intense love affair with a young man called Colin, are breathtakingly vivid and personal. It is impossible to read about how Rachel lived without thinking about how she died. There are times when her words are chillingly prescient as she describes dreams about falling, fears of tumbling, being out of control. 'Death smells like homemade apple sauce as it cooks on the stove. It is not the strangling sense of illness. It is not fear. It is freedom,' she writes on 19 May 1993. Aged just 14. Early on there is a surprising empathy for outsiders and I realise that in a media obsessed with the Paris Hiltons of this world, we don't often get to hear about young, politicised American women. 'Maybe,' writes Rachel, aged 11, 'if people stopped thinking of themselves, and started thinking of the other sides of things, people wouldn't hurt each other.' But there is a healthy streak of self-obsession too, and a wicked sense of humour. She grows up into a chain-smoking Pat Benatar fan. Some of the most poignant moments are Rachel's 'to do' wish lists. A teenager who imagines there are years and years ahead of her. The writing from Rafah, Gaza, steps up a gear. Her emails home are passionate, articulate and forensic. She's been criticised for being naive about the dangers. I suspect many people, even seasoned war reporters, might admit to being blindsided by the situation on the ground in Gaza. She researched the region before she got there and attended an ISM training session, but the shock of being in the midst of chaos is immediately apparent. A day after arriving she's helping someone move the body of a child. She describes a colleague with shrapnel in her shoes. This kind of bereavement, premature and violent, is hard to imagine. Now add the fact that Rachel swiftly became both a worldwide news story and a debating point and it's difficult to comprehend the amount of stress the family must have been under. Within a few hours, Cindy's email account had crashed. Absurdly, in the first hours of mourning they were trying to work out how to set up a new computer inbox. They received 10,000 emails in the first fortnight alone. In one of what must have been many dream-like moments, Craig recalls a candlelit vigil held three days after his daughter died: a stranger carried a huge poster-sized picture of Rachel, a photograph he hadn't even seen before. Overnight in Rafah there was graffiti dedicated to the young woman who believed there would be a democratic Israeli-Palestinian state in her lifetime - 'Rachel was a US citizen with Palestinian blood.' She had become a victim of their intifada, a heroine who had stood up to the mighty Israeli army. New mothers christened their daughters Rachel. A kindergarten was named after her. Palestinians living in America would approach the Corries crying, barely able to speak. 'It should have been me,' they told them. Elsewhere the response was more mixed. The death of a young blonde female American in the Middle East aroused extreme reactions. Angry messages to pro-Israel websites suggested 'she should burn in hell for an eternity'. Critics of the Palestinian cause suggested that the houses in Rafah hid tunnels which supplied arms. A picture of Rachel burning a makeshift American flag in front of Gaza schoolchildren was circulated. There was heated debate on the campus at Evergreen. Sarah and her brother Chris began filtering out some of the hate mail that arrived. The Corries take me around Olympia in their car, past the places where Rachel grew up. While Craig drives he recalls descriptive passages from her journals and tries to retrace his daughter's steps in his mind's eye. Even on a winter's day you can see how beautiful it is: noble Douglas firs, a glint of water, secluded wooden houses with verandas. In turn, the Corries have twice visited Gaza since Rachel was killed. 'My feeling,' says Craig, 'was that she wrote about those people with warmth. Going to Gaza was a real need to see who Rachel wrote about and to thank them for the care they took of her while she was there.' They negotiated the same checkpoints, the same rubble-strewn streets as their daughter had done. Armed men in watchtowers looked down on them. At night they slept through the sound of tracer fire. I imagine how proud, and perhaps astonished, their daughter would have been (on occasion she'd railed against her father for having 'his head in the sand' politically). The Corries' instinct is to play down the danger they were in: gunfire whistled past Craig and, one evening, dinner with the Nasrallah family was interrupted by the menacing sound of a bulldozer outside the window. On their second visit in 2006 they were woken in the middle of the night by men with Kalashnikovs. Craig and Cindy Corrie would be valuable bargaining tools in an area that has become even more desperate since Rachel was killed. As it was, the Nasrallahs managed to persuade the men to go on their way. It was said that they killed two security guards on the Egyptian border instead. In one of her final emails home Rachel said, 'This has to stop! I think it is a good idea for us all to drop everything and devote our lives to making this stop.' It's clear that her parents have taken her at her word. Sarah says, 'She wanted them to go there. In her writing she says you need to meet these people. Now our lives are intertwined with what goes on in Rafah and Gaza and Israel and Palestine.' Meanwhile, in the five years since Rachel was killed, the humanitarian situation in Gaza - effectively imprisoned by Israel, with limited fuel, electricity and medical supplies - has grown worse, not better. The family is still seeking information about what happened to Rachel and to have her death accounted for. According to former US secretary of state Colin Powell's chief of staff, the Israeli government's report was not 'thorough, credible or transparent', yet there is no sign that the US government plans to take any further action. Four months ago Sarah discovered distressing reports that Rachel's autopsy was not carried out according to their stipulations. The Corries, along with four Palestinian families, are waiting for court action against Caterpillar Inc, the American company that makes the bulldozer that killed Rachel, to be reheard.